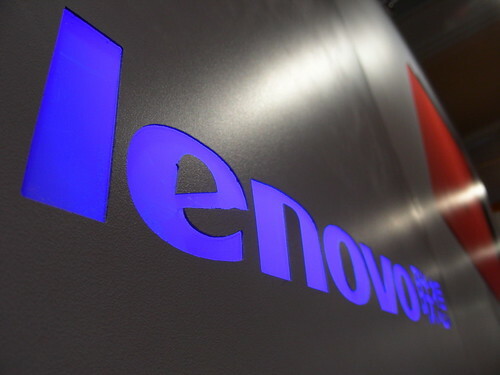 Lenovo has paid a fine to settle charges over preinstalled software which could spy on users. Photo by keso on Flickr. A selection of 11 links for you. Energise. I’m @charlesarthur on Twitter. Observations and links welcome. …The Tinder economy has a higher Gini [inequality] coefficient than 95.1% of the countries in the world. The only countries that have a higher Gini coefficient than Tinder are Angola, Haiti, Botswana, Namibia, Comoros, South Africa, Equatorial Guinea, and Seychelles (which I had never heard of before). Lenovo Inc., one of the world’s largest computer manufacturers, has agreed to settle charges by the Federal Trade Commission and 32 State Attorneys General that the company harmed consumers by pre-loading software on some laptops that compromised security protections in order to deliver ads to consumers. In its complaint, the FTC charged that beginning in August 2014 Lenovo began selling consumer laptops in the United States that came with a preinstalled “man-in-the-middle” software program called VisualDiscovery that interfered with how a user’s browser interacted with websites and created serious security vulnerabilities. VisualDiscovery software, developed by a company called Superfish, Inc., was installed on hundreds of thousands of Lenovo laptops. It delivered pop-up ads from the company’s retail partners whenever a user’s cursor hovered over a similar looking product on a website. To deliver its ads, VisualDiscovery acted as a “man-in-the-middle” between consumers’ browsers and the websites they visited, even those websites that were encrypted. Without the consumer’s knowledge or consent, this “man-in-the-middle” technique allowed VisualDiscovery to access all of a consumer’s sensitive personal information transmitted over the Internet, including login credentials, Social Security numbers, medical information, and financial and payment information. Lenovo isn’t just “one of the world’s largest computer manufacturers”; at the time it was the biggest, and it’s still second-biggest. This was just crap. Also, where’s the settlement and fine with the UK’s or EU’s regulator? if it weren’t for some mistakes by Martins and an attentive BBC journalist named Natasha Ribeiro, Martins’ amazing life and photography career would likely still be enjoying its meteoric rise. But Ribeiro became suspicious of Martins after learning about his life and work, and she became even more suspicious when she dug deeper and couldn’t find a single person who had ever met him. Not a single Brazilian journalist in Iraq, where Martins had supposedly been covering extensively. Not any of the authorities who would have had dealings with Martins. Not any members of the NGOs he said he was a part of. Martins had given a story and photos to VICE about the battle in Peshmerga, but two other Brazilian correspondents who were there at the same time said they had never met this newly famous photographer — something that is nearly impossible given how tight-knit the community of conflict journalists is. Martins had told BBC Brazil through a WhatsApp chat that he was working for the United Nations, saying: “I am a humanitarian (volunteer) in the United Nations field and I work in the organization of refugee camps.” But an investigation revealed that there was no record of Martins having ever worked for the UN Refugee Agency, which the organization’s press chief, Adrian Edwards, confirmed to the BBC. The investigation into Martins soon revealed other oddities, BBC Brazil reports. Martins had developed relationships with at least 6 young, beautiful, and successful women through social networks, and then used each one to relay information to journalists. BBC Brazil found that none of the girlfriends had ever met Martins in real life. Remember when desktop operating systems used to merit long piece-by-piece reviews? One developer I spoke to jokingly said “I just looked at the ARCore SDK and they’ve literally renamed the Tango sdk, commented out the depth camera code and changed a compiler flag”. I suspect it’s a bit more than that, but not much more (this isn’t a bad thing!). the real benefits of calibration become visible at the outer limits of the system performance (by definition). Both ARKit and ARCore can both track quite well for many meters before the user notices any drift. I haven’t seen any head-to-head tests done over long times/distances, but it doesn’t really matter. Developers are still getting their heads around putting AR content immediately in front of you. Users can barely comprehend that they can freely walk around quite large distances (and there’s no content to see there anyway). So in terms of how AR applications are really being used, any differences in calibration are pretty much impossible to detect. By the time developers are pushing the boundaries of the SDKs, Google is betting there will be a new generation of devices on the market with far more tightly integrated sensor calibration done at the factory. For example I spoke to one of the largest IMU [inertial measurement unit] OEMs this week about this topic and he said that their mobile phone IMUs are only factory calibrated to a single operating temperature, in order to reduce costs. This means that the IMU hardware is tuned so it gives the fewest errors at this one temperature. As you continue to use the phone it gets hotter & this will cause the IMU to behave slightly differently than it’s calibrated for, and errors will result. This is fine for most IMU use cases (rotate from portrait to landscape mode for instance), but for VIO once the device heats up, the IMU measurements for dead-reckoning calculations become unreliable and the tracking drifts. This OEM can easily start calibrating for multiple temperature ranges if they are asked (and they will be! ), meaning that’s one less source of error that Google’s ARCore VIO code has to eliminate device-type by device-type. Apple, being vertically integrated could address these challenges much faster, while Android needs to wait for the changes to filter through an ecosystem. What we’ve experienced is a little different. Google is so big and so powerful that even when it’s trying to do something good, it can be dangerous and frightening. With the events of recent months and years, Google is apparently now trying to weed out publishers that are using its money streams and architecture to publish hate speech. Certainly you’d probably be unhappy to hear that Stormfront was funded by ads run through Google. I’m not saying that’s happening. I’m just giving you a sense of what they are apparently trying to combat. Over the last several months we’ve gotten a few notifications from Google telling us that certain pages of ours were penalized for ‘violations’ of their ban for hate speech. When we looked at the pages they were talking about they were articles about white supremacist incidents. Most were tied to Dylann Roof’s mass murder in Charleston. Now in practice all this meant was that two or three old stories about Dylann Roof could no longer run ads purchased through Google. I’d say it’s unlikely that loss to TPM amounted to even a cent a month. Totally meaningless. But here’s the catch. The way these warnings work and the way these particular warnings were worded, you get penalized enough times and then you’re blacklisted. Now, certainly you’re figuring we could contact someone at Google and explain that we’re not publishing hate speech and racist violence. We’re reporting on it. Not really. We tried that. We got back a message from our rep not really understanding the distinction and cheerily telling us to try to operate within the no hate speech rules. And how many warnings until we’re blacklisted? Who knows? If we were cut off, would that be Adexchange (the ads) or DoubleClick for Publishers (the road) or both? Who knows? …When I discussed a few of these issues on Twitter a couple days ago, some people said: Well, the publishers brought it on themselves. They went for the cheap clicks or gaming Facebook’s or Google’s algorithms. So they brought it on themselves. This is true to an extent but I think misses the point. It’s not about anyone’s individual morality. Not the publishers or the platform monopolies. It’s a structural issue. Monopolies are bad for the economy and they’re bad politically. They also have perverse consequences across the board. The money that used to fund your favorite website is now going to Google and Facebook, which doesn’t produce any news at all. He offers another example to do with email which is almost comical – except it’s so potentially disastrous. The strange thing is that Google is becoming so dominant people are either thinking “oh well” or “we must do everything possible not to be in this position”. Most are in the former group. Our cooperation with Google was a good one. Integrating their search into Opera helped us deliver a better service to our users and generated revenue that paid the bills. We helped Google grow, along with others that followed in our footsteps and integrated Google search into their browsers. However, then things changed. Google increased their proximity with the Mozilla foundation. They also introduced new services such as Google Docs. These services were great, gained quick popularity, but also exposed the darker side of Google. Not only were these services made to be incompatible with Opera, but also encouraged users to switch their browsers. I brought this up with Sergey Brin, in vain. For millions of Opera users to be able to access these services, we had to hide our browser’s identity. The browser sniffing situation only worsened after Google started building their own browser, Chrome. And now things have hit a new low. The low? Vivaldi’s AdWords account was suspended, for no clear explanation. Live by the AdWord, die by the AdWord. [Samsung group leader Jay Y.] Lee’s imprisonment has [Samsung Electronics chief] Yoon [Boo-Keun] stressed, he told Süddeutsche Zeitung. He added that as head of the consumer electronics business, he takes a near-term view for products while it’s Lee’s responsibility as vice chairman to map the long-term strategy. But Yoon now has to think longer term, the newspaper reported. Yoon also told Süddeutsche Zeitung that the Internet of Things hasn’t taken off as quickly as hoped because there aren’t clear and compelling consumer use cases, and privacy and security are also considerations. Still, Samsung plans for all of its products to be internet-connected by 2020. Samsung’s newest focus for the Internet of Things is embedding its Bixby voice assistant into its various connected appliances and televisions. The “smart sidekick” debuted on the Galaxy S8 and S8 Plus earlier this year and will also be available on the Note 8 when it hits the market. Bixby acts as a new interface to control your phone, but it will be different for Samsung’s appliances and televisions, Yoon told Süddeutsche Zeitung. For Samsung’s connected refrigerators, Bixby will be able to recommend recipes based on what you have in your kitchen, the newspaper said. For TVs, it would learn what shows you normally watch and automatically play them when you turn on the television. “Integration is already in full swing,” Yoon said, according to Süddeutsche Zeitung. Also interesting: not using OLED in TVs because of “some long-term problems with colour and burn-in”. Which implies something about using OLED phones for longer than a few years – TVs tend to last five years or more. even without North Korea’s recent escalation, it seems unlikely America will totally quash the 2012 trade pact, known as KORUS. America is South Korea’s second-largest trading partner after China, while South Korea holds a spot much farther down the US list. But America doesn’t actually have the capability or know-how to manufacture a whole lot of everyday things it needs, such as cell phones and computers. So even though South Korea represents the US’s seventh-largest trading partner, the North Asian nation sells a lot more than it buys: America’s goods trade gap with South Korea was $27.7bn in 2016, more than double the $11.9bn deficit in 2007. That means even if Trump wanted to rip up KORUS, there’s little chance the river of stuff flowing into the US would stop. Rather, dissolving the pact would drive up consumer prices of smartphones and SUVs. From a corporate perspective, fewer than 1% of South Korean companies depend on America for a meaningful amount of sales. Out of 2,750 publicly traded businesses, just 66 get more than a fifth of their revenue from the Americas, according to an analysis of data compiled by Bloomberg. Samsung would be affected; the US is its biggest market. But there’s just no way this is going to happen. The timing is terrible, and the idea is stupid. We estimate that iPhones represent nearly half of all smartphones in the United States. Wireless operators and investors are therefore very interested in what technologies and spectrum bands are included each year as they can determine whether these companies are able to leverage their network and spectrum investments. Adding spectrum to a network doesn’t do much good if the smartphones don’t take advantage of it. Unfortunately, the operators don’t really know for sure what is included in each iPhone prior to its launch. So, here’s a quick review of what each national wireless operator in the United States would like included this year. This is pretty technical, but would be useful to anyone who’s really into phone/network interaction. Europe’s top court will rule on Wednesday whether US chipmaker Intel offered illegal rebates to squeeze out rivals in a judgment that could affect EU antitrust regulators’ cases against Qualcomm and Alphabet’s Google. The ruling by the Luxembourg-based Court of Justice of the European Union (ECJ) could also provide more clarity on whether rebates are anti-competitive by nature or whether enforcers need to prove the anti-competitive effect. The European Commission in a 2009 decision said that Intel tried to thwart rival Advanced Micro Devices by giving rebates to PC makers Dell, Hewlett Packard, NEC and Lenovo for buying most of their computer chips from the company. It handed down a €1.06bn ($1.3bn) fine, a record that was subsequently eclipsed by the €2.4bn fine levied on Google in June this year. A lower court upheld the EU competition authority’s decision in 2014, but last year an ECJ court adviser backed Intel’s arguments. An adverse ruling for the Commission on Wednesday could result in a radical review of ongoing cases, said Andrew Ward, a partner at Madrid-based law firm Cuatrecasas. Hard to see how a rebate isn’t, in effect, a price cut or subsidy. This isn’t like consumer rebates, where the expectation is that only a small percentage will actually take advantage of them because of the tedium of the rebate process. Web readers! You can now sign up to receive each day’s Start Up post by email. You’ll need to click a confirmation link, so no spam. If I remember right, the problem with OLEDS is yellow. They burn out at a much more rapid rate than blue or red. Then again, it was 12 years ago I last looked at this…..